Eva Lymenstull, a native of Michigan, has performed as a baroque cellist and violist da gamba throughout Europe and the US, including appearances with the Orchestra of the Age of Enlightenment, Holland Baroque Society, and the Orpheon Consort, as guest principal cellist of the Atlanta Baroque Orchestra, Lyra Baroque Orchestra, and Apollo’s Fire, and as principal cellist of Symphonie Atlantique. She has performed at the Utrecht, Boston, and Berkeley Early Music Fringe Festivals, and on New York’s Gotham Early Music series. As the winner of the 2017 Voices of Music Bach Competition, Ms. Lymenstull recently recorded Bach’s D minor cello suite. 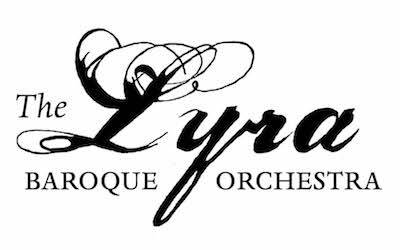 Current highlights include a CPE Bach cello concerto performance with the CWRU baroque orchestra and a recording project with Lyra Baroque Orchestra. Ms. Lymenstull received a master’s degree in baroque cello from the Royal Conservatory of The Hague, where she studied with Jaap ter Linden, and also holds degrees from Rice University and the University of Michigan.